The 'Skyscraper' singer – who entered rehab last November for three months to receive treatment for her eating disorders and self-harming – shot to fame playing the lead role in Disney show 'Sonny with a Chance' and used to get upset when young girls told her she was an inspiration to them because she knew her true life was different. 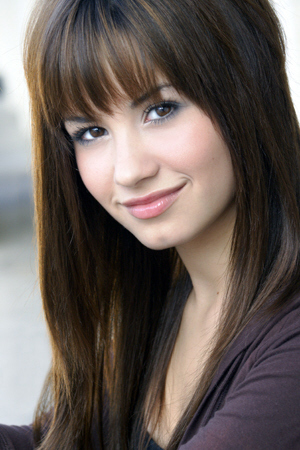 However, after seeking help for her problems, Demi believes she is now a person young people can look up to. Demi recently revealed how she hopes her honesty about her personal problems will give her fans the courage to seek help for any difficulties they may have. When asked why she's been so vocal about her personal issues, she said: "Because I know that if I can use my voice to speak to one person, or one family, then I've done my part. I feel like it's no coincidence that God put me through all of this and has also given me the voice that I have. I feel like my purpose on earth is much greater than just being a singer, a musician or actress. I think it's to reach out to people and to raise awareness of these issues that not many people speak about."